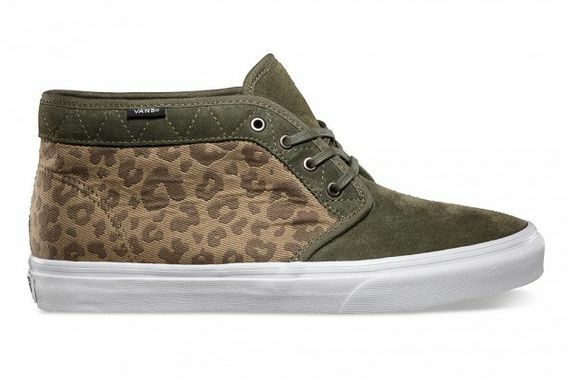 Vans has always had their finger on the pulse of whats now, and what people want, and this “Leopard Camo” rendition of the classic Chukka Boot CA is a direct continuation of that success. 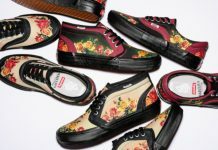 Featuring a suede toe area flanked by a canvas, “Leopard Camo” patterned upper, Vans has taken two of the season’s hottest looks and combined them into one dope new pattern, accented properly by an intricate stitching pattern and bold laces. 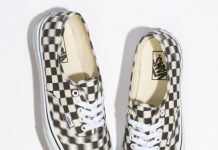 Offered here in navy and military green colorways, this is sure to be a popular pair of summer kicks. Good news is you won’t have to wait long, these “Leopard Camo’s” are available now. More photos after the jump.